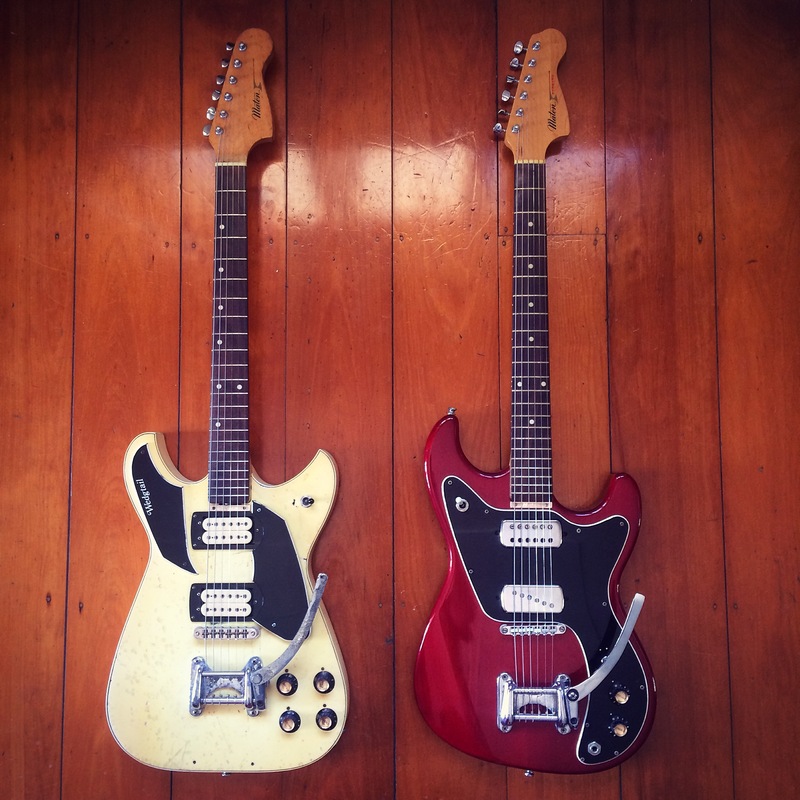 For a while I did own an FB70, but I had to sell it to get an even rarer Maton (which I’ll document soon). So there was a big gap in my Fyrbyrd collection… I still needed an FB70 and an FBFX. Finally, fellow Maton collector Greg T tracked down a beautiful cherry FBFX and so after selling another Maton (one for one!) it was mine. Up until I actually bought it, I’d never even seen one in the flesh. I was instantly surprised how solid it is. This isn’t a little guitar like the original Fyrbyrd 620. It’s a BEAST. The body is really thick and heavy, plus it has a great neck. It shares a lot in common with the Wedgtail WX series, which came out the same time. Apart from my Wedgtail’s modded pickups, the resemblance is definitely there. The hardware carries over both guitars. 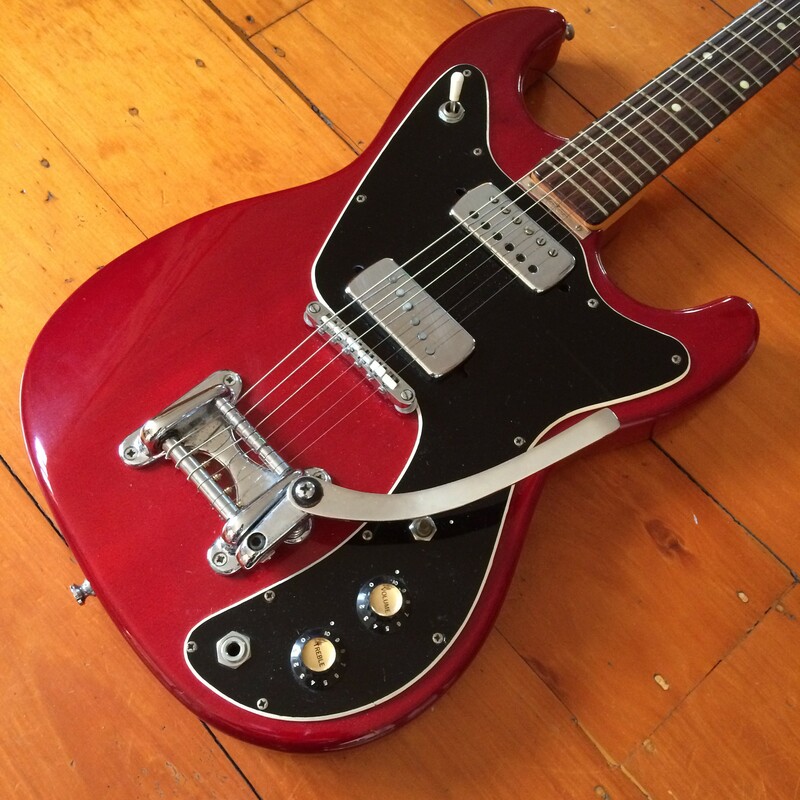 The tremolo is the Italian Eko unit, which unlike the one on my Wedgtail is in fantastic condition. 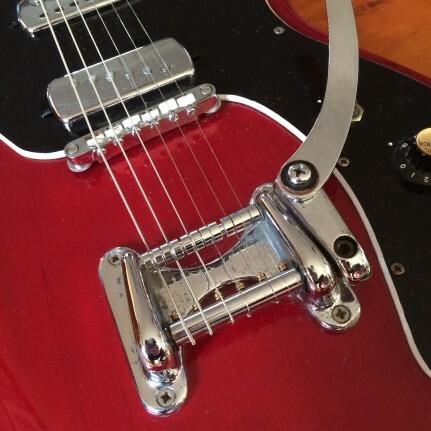 It’s a pity Maton didn’t keep the authentic Bigsby on this model as the Eko unit isn’t exactly the best… it does the job though. Pickups are Maton’s own, with the bridge being a single coil housed in the larger case. It’s a bit of a low output pickup so I may get that looked at in the future. As mentioned, the finish is a beautiful transparent cherry, which is unusual for Maton. 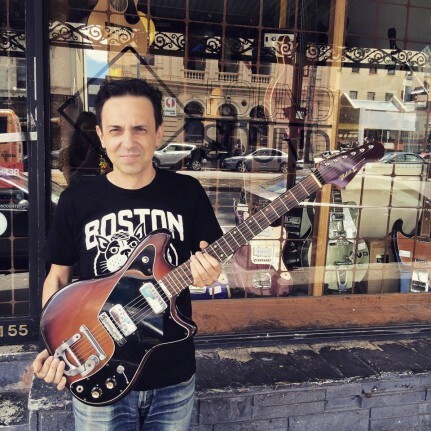 It’s similar to my 60′s Maton MS500 and shows the grain in the body very nicely. The neck is REALLY similar to my Wedgtail’s… profile is a little slimmer but definitely from the same family. Unlike my Wedgtail, this has the little notch taken out so it’s a bit less Strat like. So I’m really stoked with this guitar. After years and years of FBFX’s popping up and me missing out, it’s great to finally have one. And it looks great in my red Fyrbyrd family. 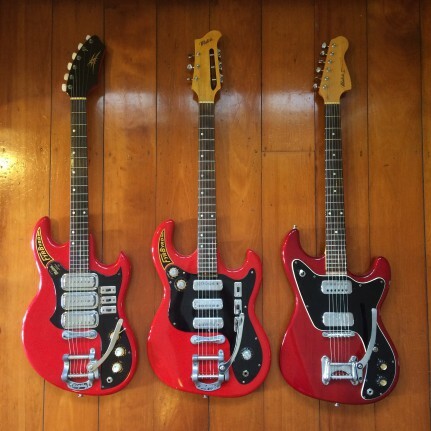 They’re all totally different guitars though, which is a good thing. 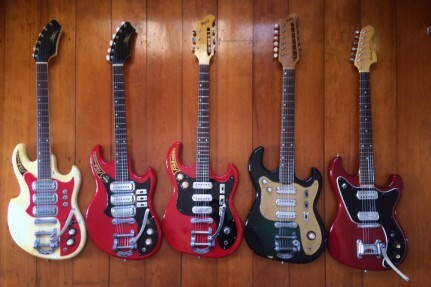 No point having 5 versions of the same guitar! Now I just need that goddamn FB70 and I’ll have the full set… fingers crossed. 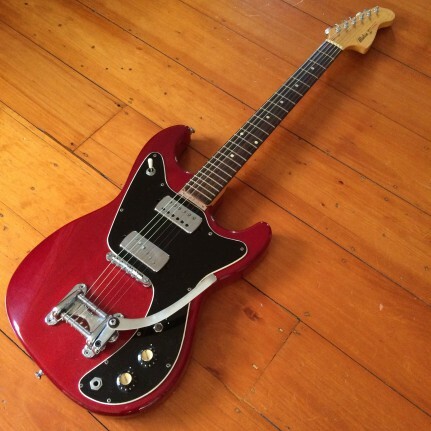 Interesting guitar – obviously, the body is very much inspired by the Fender Jazzmaster, but the pickguard is almost like a hybrid of a Tele Deluxe/Custom and the later humbucker equipped Tele thinline. And (it’s hard to tell from the photos) is that a back angled headstock? I assume it has a bolt on neck, but what’s the scale length? 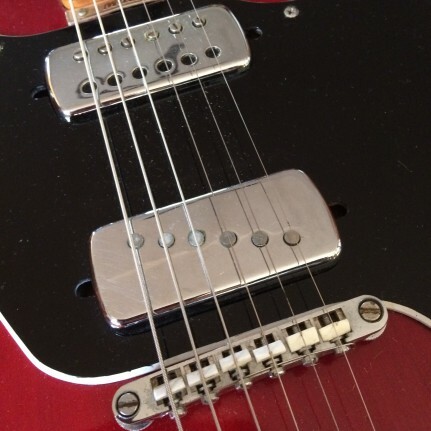 Also, there appear to be holes either side of the pickups, are they mounted to the body on springs ( like the neck pickup on a Tele), and you adjust them through the holes? Finally, I assume that the pickup selector is on the upper bout as on a Les Paul, so what is the other switch by the volume control? One other question – in the photo at the bottom of the page, of 5 guitars, one of them is a 12 string – is there any more information about it here? (I did search for “12string” but couldn’t find any reference to it). 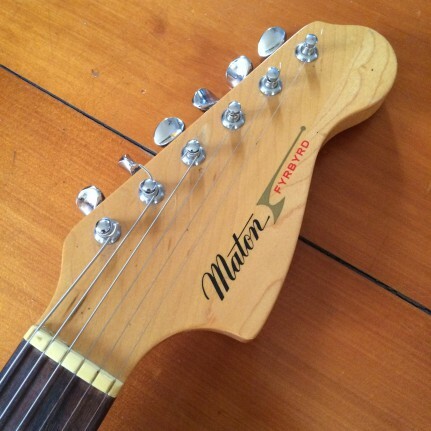 I love reading about your passion for Maton guitars, but the LAST ?